In all countries, rich and poor, breastfeeding gives children the best start and can save lives, yet too few children benefit, said the report. 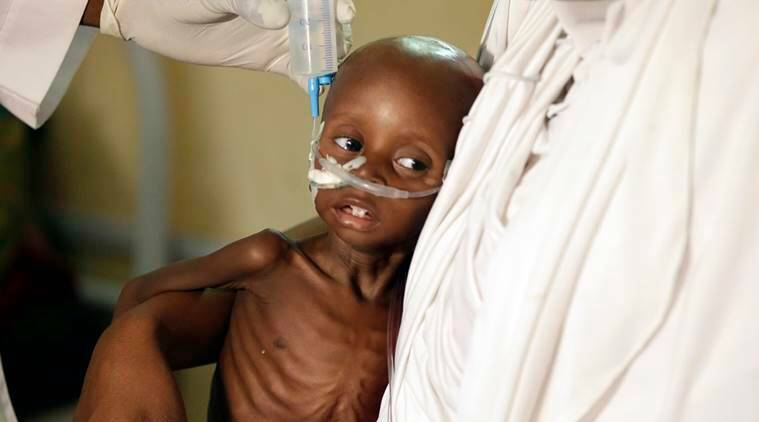 At least five out of six children worldwide under the age of two do not receive adequate nutrition for growth and brain development, the UN Children’s Fund (Unicef) said in a report. Childhood nutrition during the first two years of life is critical to development and survival, and though there has been a reduction in chronic malnutrition over the past 10 years, stunting continues to affect 156 million children under the age of five, Xinhua news agency reported on Friday. The latest report focused on breastfeeding with recommendations that children be introduced to solid, semi-solid and soft foods at the age of six months, but has found that many are introduced to these foods too early or late, creating an adverse effect on health and development. The report also urged mothers to breastfeed children until the age of two or older, in addition to complementary foods. “Infants and young children have the greatest nutrient needs than at any other time in life. But the bodies and brains of millions of young children do not reach their full potential because they are receiving too little food, too late,” France Begin, senior nutrition adviser at Unicef, said. “Poor nutrition at such a young age causes irreversible mental and physical damage,” she said. According to the report, though critical to safeguarding against death, fewer than half of all newborns breastfeed within the first hour of life, and only half of children aged six to 23 months are fed the minimum number of meals per day for their age. In both rich and poor countries, long periods of breastfeeding correlate with higher intelligence scores, the report said, adding that further evidence indicates that this translates into better academic performance and long-term earnings. Breastfeeding may reduce the risk of obesity and chronic disease later in life, and mothers who breastfeed are at a lower risk of developing breast and ovarian cancers, it said. Scaling up to universal levels, breastfeeding could save more than 800,000 children and add more than $300 billion to the global economy each year, said the report.